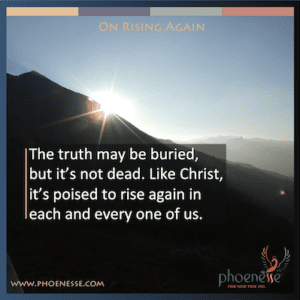 Phoenesse | Find Your True You. 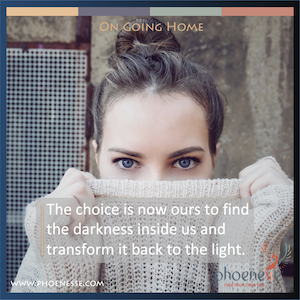 Phoenesse® offers a fresh approach to timeless spiritual teachings that show us how to repair our deepest wounds and restore ourselves to wholeness. Combining brevity with levity, these transformational instructions are designed for people who are ready to wake up but don’t have all day to do it. So let’s go. It’s time to move fearlessly through whatever is blocking our light. Let's do this work; let’s light up this world. The following tells the story of two main events that are super-important for people to understand: the Fall and the Plan of Salvation. By necessity, the telling of this story weaves in the important reality of free will, which as you’ll see, is a key element. In celebration of Easter, here are some of my favorite questions asked of the Guide about Jesus Christ. The distortion of truth must live within us. For if it did not, the outer chaos of the world wouldn’t light a fire deep in our bellies.